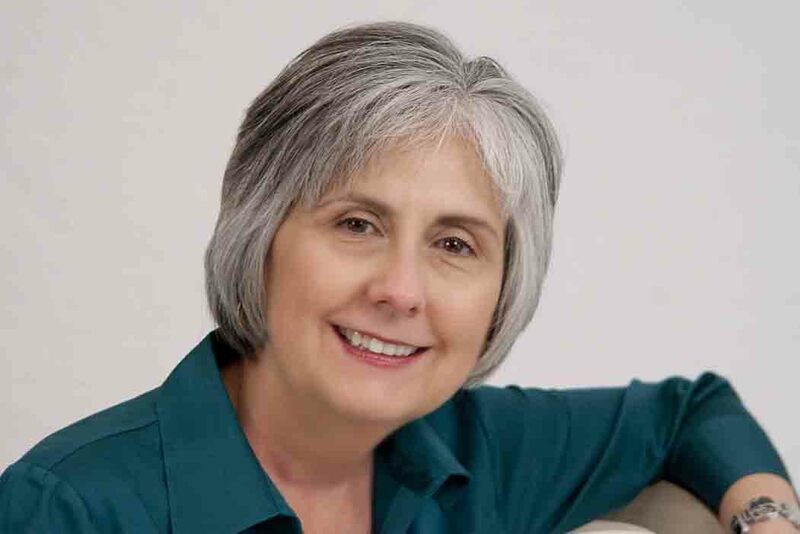 Please welcome my very special guest blogger and friend, Diane Stortz. If you’ve been wanting to read through the Bible and have never tried to do it in a year this is a wonderful opportunity. Diane has written a book I can’t wait to get my hands on and I know my Bible study group will feel the same way. 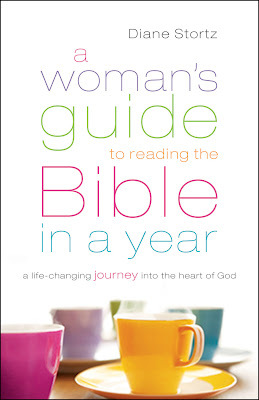 It’s called, A Woman’s Guide to Reading the Bible in a Year. You can order it through Bethany House. Diane has graciously offered to give away two copies of her book and autograph them as well. The book will be sent out to the winners sometime in early November. Please leave a comment other than you would like to win the book, let us know what state you are living in, and an e-mail addy so we can reach you if you win a copy. The cut off date and time to comment will be next Sunday, September 2nd at 6:00 pm est.Void where prohibited. I will announce the winners next Monday, Labor Day. Why did you want to write this book, and who’s it for? In 2000 I joined a group of women to read through the Bible in a year with the single focus of getting to know God better. I’d been a Christian a long time, but I’d never read a lot of the Bible, especially the Old Testament. We read about three chapters a day and met once a week to talk about what we’d read. We shared what stood out for us and asked lots of questions. I grew and changed significantly as a result, and so did many others who participated. That group stayed together for ten years and spun off two other groups. I find churches often tend to present the Bible as a book to study and apply. But first of all it is God speaking to us about who he is and what he does. Yes, there’s mystery, and some things are hard to understand. But the Word is meant to be heard, to be read. The words are food for us, and most of us are starving. I wanted to provide an example and encouragement to pick it up and read it. Any woman from any background who wants to read through the Bible can use this book—young or old, new or mature believer or simply curious, whether you’ve read a lot of the Bible before or you tried once and gave up halfway through Leviticus. You can use it on your own, with a friend, or—probably the best way—with a group. How is it different from other guides to reading the Bible? The focus is simply on reading to get to know God. The background information provided each week is short, so you can spend your time actually reading the Bible, not reading about it. And the reading plan alternates Old Testament and New Testament books most of the year, with Psalms divided into four parts. This prevents feeling stuck in the Old Testament for nine months, and you start to see amazing connections right from the start. The weeks aren’t dated, so you can begin anytime. For each week of the year, there’s a list of that week’s readings plus two or three short paragraphs of background. Checkpoints is a list of five interesting objects, events, or people to watch for as you read throughout the week. In the Share the Journey section are prompts and writing space for recording your responses to what you read—what stands out, something you’ve learned about who God is, a passage or verse you’d like to remember, or questions you’d like to pursue. I also included ideas for groups, a time line and a few other helpful charts, a short history of the Bible we read today, and stories of women whose lives changed because they took this life-changing journey into the heart of God. What tips do you have for using the book with a group? Meeting with others every week to talk over what you’ve read provides great encouragement and accountability to keep reading throughout the year! In addition, we learn from one another when we hear what God is teaching other women in the group. I love how the cover Bethany House created for the book captures the idea of reading in community with other women. The book has lots of ideas to help groups succeed. The most important one is to create an environment where questions and struggles are welcome. Make it always OK to say “What do you think?” or “I don’t know.” This is especially important if group members come from a variety of backgrounds. What’s your biggest hope for this book? I hope many women will discover that they enjoy and love God’s Word and will see how their understanding develops as they continue to read it—in a year and for many years to come. God is good, and there’s a purpose for everything included in his Word. You’ll be amazed at how much more you understand if you simply keep reading to get to know God. His Word will accomplish his goals. He is more than able! Is time with God’s Word important to you? What has helped or hindered your Bible reading? and also blogs at Christian Children’s Authors http://christianchildrensauthors.com. This entry was posted in Uncategorized by Jillian Kent. Bookmark the permalink. Congratulations Diane! This book sounds great! Once I get resettled, I’ll have to see if I can find a new friend to do this with…it really interests me! Love that you make it about reading the Bible, not just reading the book, and your OT&NT approach. WOw, a great challenge! I’ve read the Bible through, but never in one year. I think the interaction of meeting with others doing the same thing would definitely enhance the experience! I live in Michigan and my email is sue@sueharrison. com. Marina, I know YOU won’t have any difficulty finding a new friend in your new town! Glad the book concept interests you. Thanks for stopping by! Sue, reading with a group is a wonderful experience I’m sure you would enjoy! Diane, I’m wondering if this was a difficult book to write and if you discovered anything special along the way? I know I’m always uncovering something in my fiction that I’ve been seeking about myself. So glad you are visiting this week. Hi Candace! I think you and your friends will love using the book together. Jillian, in some ways it WAS difficult. Hard to write just three short paragraphs of background or summary. Some books I know well, others I had to study more. Scary to be writing about the Bible, frankly–my degree is journalism, not Bible! I wanted to represent God’s Word well. But in other ways it was a joy. I discovered in a deeper way how important it is for Christians to understand the Old Testament, and how cohesive the Bible is. I realized again how much better I know the Lord than I did ten years ago, and how much more there is to know! Diane, congratulations on your release! Thank you for the privilege of reading it before it hit the shelves. This is a treasure and I can’t wait to get my hands on it (again). Blessings! Thanks Donna! When the book comes out in November, I’ll be sending you a copy to thank you for endorsing it. Your enthusiasm as a Bible teacher means a lot to me! Congratulations to you! Part of what I wanted to post was that I wonder if this would be a refreshing change to my current way of reading the Bible in a year. And that I’d love to find a group to do this with, though I don’t know where to find them. I’m one of the few people I know who regularly reads the Bible in its entirety (though not usually in order) – whether they take a year or 5 years. Betty, I think you’d love this reading plan! Maybe invite a friend or neighbor or someone from your church to join you. But you can easily use the book on your own too. Thanks for commenting! Diane, congratulations on your latest book. You bless so many through your writing. May God richly bless you and your words. I’d love to win a copy, pa-leeeeze. I’ve read through the Bible a couple of times, and each time, find something new to internalize and learn from. I know this book would be really helpful to read it again, in a unified manner, instead of dipping in and out of it. And besides, Diane is my friend and a super writer. Con-cats…..(stet) Good luck with it, D.
Hi Jean! Thanks so much for stopping by and for your encouragement and prayers. Hey Allia! You are always an inspiration to me! Thanks for being my friend and glad to know you’re interested in a read-thru year! It’s interesting that I can read a big, long historical in a few days, but can’t get through the Bible! I started reading it from the beginning and it has been an interesting process. I’ve gained insights that I don’t think I would get skipping around. I’m now in Romans and bogged down in Paul’s lawyer-like debates. I know he was a tent maker, but he would have made a great lawyer! Michele, thanks for pointing out the big-picture perspective we get when we read the whole Bible! Keep on, and thanks for commenting! I love it that I got rid of the little robot. For those of you trying to post it will be much easier now that you don’t have to type in those little annoying numbers and letters. I’m really enjoying this post, Diane and the comments. For the folks reading this. I have a daughter in YWAM. Youth With A Mission and Diane has also written a book for the parents of missionaries. Is that book still available, Diane? And if not have you thought about getting it out there in an electronic version? An forgive me if this isn’t a good place to bring this up but I thought others might be interested that you wrote a book like that. Awesome! Jillian, you know firsthand how hard it can be to send a child into missions, don’t you! The book is called Parents of Missionaries: How to Thrive When Your Children and Grandchildren Serve Cross-Culturally. It’s available from InterVarsity Press and on amazon.com and other places. There is a Kindle version too. My oldest daughter and her husband lived and worked in Bosnia for nearly six years. I also helped start a ministry to parents of missionaries (POMs) that just this summer transitioned to new leadership. POMs can visit http://www.pomnet.org to learn more. I would love to try your approach to reading through the Bible in a year. I have successfully read through it twice using two different approaches. I like how yours mixes Old and New Testaments and breaks up the Psalms. That sounds like a winning combination to me. I would really like to recruit some women to join me on the study as well. I miss the Bible study group I was in before I moved. It was a life-line for me through multiple problems. Diane, I have enjoyed getting to know you through our Christian Children’s Authors blog. Hi Janice! Well, being part of the blog YOU started has certainly blessed me … getting to know you and all the other wonderful writers! Thanks for stopping by. Praying you’ll find a few others to join you in reading through the Bible in 2013! This has been fun. Thanks to Diane for sharing her wonderful news about her new book and all of you for joining in the conversation this week. Winners will be posted at midnight, est. I know this website presents quality dependent content and extra data, is there any other site which provides these kinds of things in quality?